It’s bad enough being robbed, but imagine trying to recall all the items you’ve lost from memory, without the aid of any kind of list or inventory. Whether items were stolen, destroyed in a fire or swept away in a natural disaster, attempting to keep track of them and accurately assess their worth after the fact can be daunting. 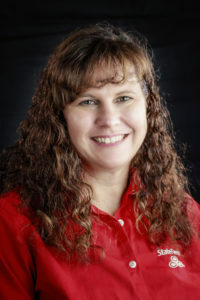 State Farm Agent Melanie Bakala (pictured) explains why it’s important to have an inventory of our home, and how to store it safely, in case you need to make a claim. Most of us (thankfully) will never experience such extreme events but for those who do, technology comes to the rescue. 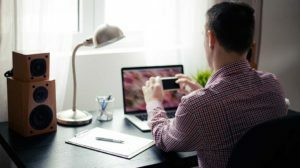 Digital options, including apps that can be downloaded to iPhone or Android phones, provide a simple way to create and maintain these important records. Make a list: Use this checklist to make sure you don’t leave anything off the list. Create a thorough record: Add detail to your inventory with product descriptions, including the item’s make, model, serial number, date of purchase, and purchase price. Also upload photos of the item along with a copy of the sales receipt or appraisal. Store it in a safe place: Print hard copies of your inventory and store in multiple locations or keep it digital. Include important paperwork: keep items like homeowner’s title, deed, mortgage agreement, plot or survey map; any records you have of your routine home maintenance schedule and property renovations that are completed, planned or in progress; and insurance policies such as Homeowners Insurance and any supplementary coverage. Once you’ve created the inventory, make sure to keep it up to date. According to a survey from the National Association of Insurance Commissioners, 59 percent of consumers don’t have an inventory at all, but among those who do, many left out important documents or failed to keep it current. Even if you never have to use it, taking the time to create and maintain a digital record will bring peace of mind.